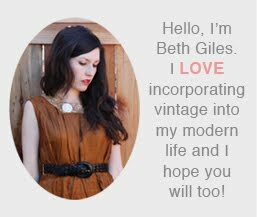 Vintage Clothing Blog | Vintage Wedding Dresses | Salvage Life: Shop Salvage Life this Friday at Mimosa Salon! Shop Salvage Life this Friday at Mimosa Salon! This Friday Night, January 21, 2011, we are partnering with Mimosa Salon in Hermosa Beach to bring you an evening of complimentary salon services, drinks and shopping. The owner of Mimosa, Rose, has been a long time customer of Salvage Life and when she asked me to do this event with her, I was thrilled. She has a beautiful salon with lots of room to set up a cute pop-up shop! Stop by before you head out for the evening, it goes from 5pm to 7pm and the salon will be offering complimentary brow shaping, mini styles, polish changes, goody bags, drinks and more. Salvage Life will be selling clothing, accessories and jewelry at prices lower than online.